Plus a great selection of local art including jewelry, pottery, wood-turned items, candles, and much more! You'll find exceptional taste and freshness all season long. 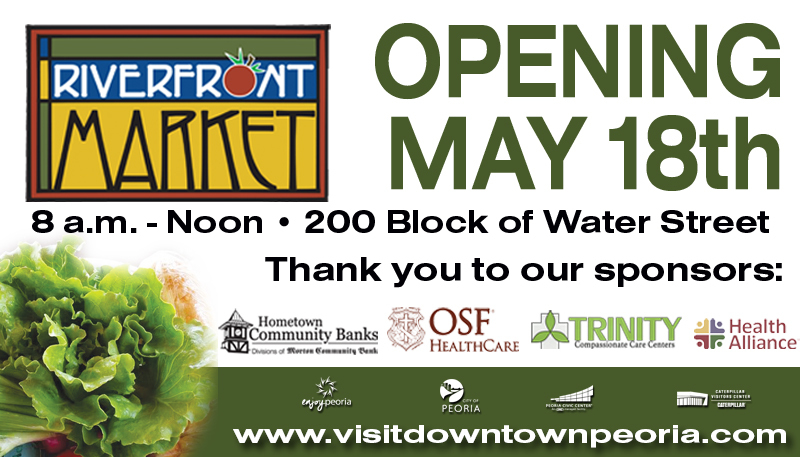 Don't miss out on the best selection of fresh produce, local meats, eggs, berries, breads and cheeses in Central Illinois! Everything is locally grown and brought directly from farms and gardens each week. We also feature a one-of-a-kind selection of art including pottery, blown glass, jewelry, wood turned items, candles, soaps and more~ all handcrafted by local artists! We are located in the River Station parking lot (212 SW Water St), directly across from the Peoria Riverfront Museum. Plenty of free parking is available in surrounding lots and streets. Watch for new vendors, more entertainment, and lots of fun in the 2019 season! 2019 Applications and Rules & Regulations for art and produce vendors are available by clicking on the links below. For more information, call 309-671-5555. 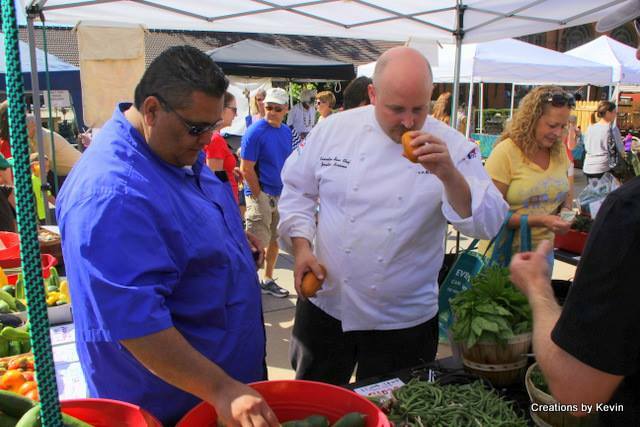 RiverFront Market... in the news! 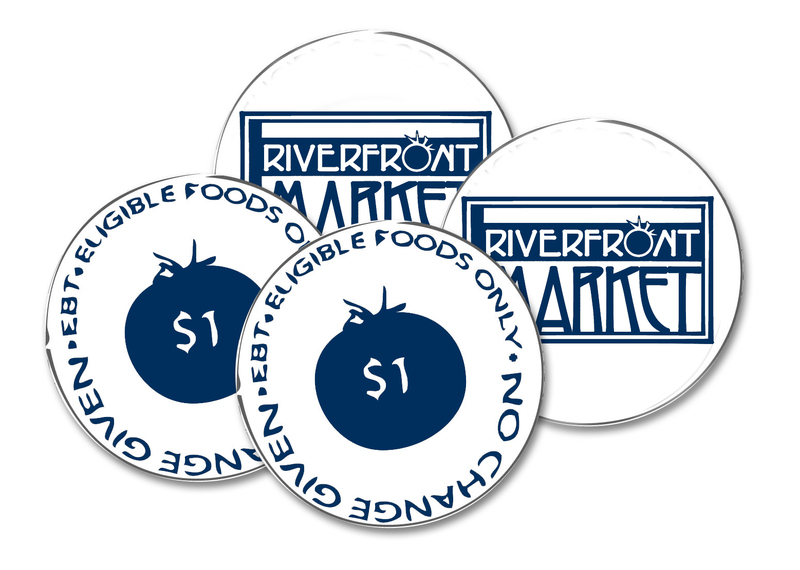 "We are very excited to be in our new location," said Riverfront Market organizer Sharon Gramm. "We moved just down the street to the River Station parking lot. Amsterdam is open for breakfast. Martini's will be open for mimosas and bloody marys." Crafts, balloons and what organizers say is the freshest produce you can get. This is a producers-only market.